While visiting an aunt and uncle in the exotic countryside of Costa Rica, a young Southern Belle from Alabama accepted a ride on the back of a motorcycle belonging to a charismatic local farmer. That ride would propel her into history. First Lady of the Revolution is the remarkable story of Henrietta Boggs, who fell in love with a foreign land and the man destined to transform its identity. Her marriage to José ‘Don Pepe’ Figueres in 1941 led to a decade-long journey through activism, exile and political upheaval, and ultimately, lasting political reform. 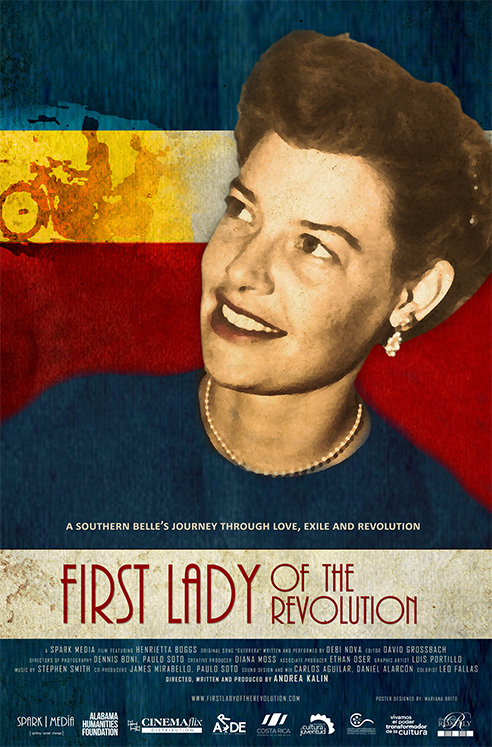 First Lady of the Revolution premiered at Sidewalk Film Festival on August 27th and won three awards, including the Audience Award for Best Alabama Film. The documentary went on to win 10 international awards, including the Audience Award at the Fairhope Film Festival and the Hoka Award at the Oxford, Mississippi Film Festival. The film will premiere on WORLD Channel on March 25th, 2018 on the third season of Reel South. Visit the film’s official website at www.firstladyoftherevolution.com.